Day 3, we visited Pietradolce, and Day 4 took us to Baglio di Pianetto, the closest winery to Palermo, the capital of Sicily. We then headed to Palermo, where I would stay for a few extra days. There are few decisions that I have made in my life that I can identify as “really good choices.” The most prominent, of course, is asking my wife to marry me (more than a few have argued that her affirmative response was her singular worst life decision, but that is not the point of this article). Before my wife, there was the decision to get a dog who forced me to grow up and be responsible at a time in my life when that was sorely needed. Prior to acquiring the best dog that ever lived, though (she sadly passed nearly a decade ago), I made the decision to study French in high school, which eventually led to my decision to study in Strasbourg, France my junior year in college. I did not know it at the time, of course, but my relationship with French, the language, the people, the region has subsequently impacted every aspect of my life. Perhaps the most significant outcome is that it instilled in me a wanderlust that is close to insatiable. While studying in Strasbourg, I visited no fewer than 15 countries, travelled on the Orient Express, was almost shot in Sarajevo, arrested in Athens, and mugged in Munich. None of those “negative” experiences—only two involved a gun in my face—extinguished my need to explore beyond my own country’s borders. Eventually, that led me to my decades-long adventure of leading bike trips in Europe as well as returning to the continent every time I could scrape together enough Francs (and then Euros) to afford the airfare. As a result, I have explored countless towns and cities from Lisbon to Vienna, from Brest to Istanbul. While every city is, of course, unique, there are certainly some similarities within the same country and across borders. And then there is Palermo. Palermo is different. While decidedly an Italian city, Palermo, long a Mediterranean trade route stopover, has been and is continuously influenced by multiple cultures and traditions. Sicily is also an island, which almost by definition, gives it an independent spirit, a resistance to conformity, a pride that many on the mainland never possess and most fail to understand. There is a grit to Palermo—a je ne sais quoi, or more precisely a non so che, which is difficult to place. Perhaps, like Marseilles, it evokes a certain reputation, a particular stereotype that is first recounted personally then reinforced by the media or Hollywood, or both. Palermo has plenty to offer from history to architecture to incredible food, but it is far from a tourist mecca, and therefore seems to have retained much of its inherent charm. After a press trip to Sicily last Fall, I stayed a few extra days in Palermo to roam, to eat, to absorb. And to take a few pictures. My VRBO was a short walk from the Quattro Canti (the four corners), the traditional center of the city, that has four nearly identical facades that represent the four seasons, the four kings of Spain that ruled over Sicily, and the four patronesses of the city. This is the Southwest corner, with the cupola of San Giuseppe dei Teatini in the background. It represents Spring, King Charles V, and Christina of Bolsena. …but two weddings in rather short order. A better look at the church of San Giuseppe dei Teatini, perhaps the best example of Sicilian Baroque. The ceiling inside of San Giuseppe dei Teatini. A bit further along is the Cattedrale di Palermo, started in the 12th Century, is a blend of several different styles and traditions. The cathédrale is protected by numerous statues. I have seen dozens of cathedrals, and Palermo might be the most impressive (after Chartres, naturally). I begrudgingly left the cathedral and started to explore a bit. The center of Palermo is laced with narrow streets, teeming with life, often bookended with monuments. …and of course there is food. This entry was posted in Sicily, Wine. Bookmark the permalink. You got loads of great photos – a genuinely intriguing collection. I was almost arrested when I illegally entered the Parthenon on May 1st when it was closed. I was roughed up by a guard and he waved his pistol in my face, threatening to call the police. Luckily, his buddy just told me to get lost and not do it again. The buddy sounds more like the Greeks I know. Well written, great shots, informative. But no drunkenness or bicycles!?!? Yeah. No. 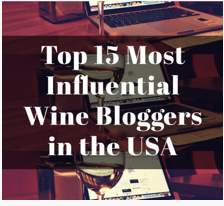 I really don’t advocate that at all—I was going to call my blog “the Guy who Rides His Bike Hard in the Morning so that he can have a few glasses of wine with dinner” but that was a bit wordy…. Oh I can relate to that insatiable desire to travel! Although I was arrested in Zurich, you’ve got several on me. Nice Palermo shots! Thanks! Nothing says “Welcome to our country!” like a run-in with the law!